Gray wanted to do more the SPCA and over four years ago he embarked on a project involving many fellow artists where collectively they would give their time and their talent to produce an album where the proceeds would be given to the SPCA to help animals in need. Gray acted as the Executive Producer on the project to fulfil his concept, and his company, New Zealand Entertainment Academy Ltd., (Gray and Trish Bartlett), have undertaken to fully fund the project when costs might be incurred. His ability to harness the talent he has for this project speaks volumes of the respect his fellow artists have for him, where everyone agreed to support him by donating their time, talent and energy to this project which was so dear to his heart. Suzanne has been at the forefront of the New Zealand music industry for many years and has worked alongside many artists including Neil Sedaka, Lulu, Leo Sayer, Cleo Lane, Cat Stevens, Kiri Tekanawa and many more. Suzanne is the recipient of Queens Honours New Zealand Order of Merit, Top Female Artist Award, The Benny Award, APRA Golden Disk Award and Entertainer of the Year. Suzanne was discovered along with her sister Judy by New Zealand guitarist Peter Posa they became regular performers on the television show ‘C’Mon’. Suzanne branched into a solo career and became a regular on the television show ‘Happen In’. Suzanne keeps a busy schedule as vocal coach and mentor on the Television New Zealand's NZ Idol and Stars in Their Eyes. She is also involved with major Television commercials and live performances at Corporate Functions. Her songs range from 60's right through to today! From Jazz standards to Pop, Rock and beautifully sung ballads. John Rowles is a New Zealand legend. After winning the local talent quest at age 10, John went on to become a successful international performer, initially booked at Las Vegas then Hawaii. His hit song "If I only had time" reached #2 on the UK Charts and he has worked with the Rolling Stones, Marianne Faithfull, Joe Cocker, Billy Fury, Marc Bolan, the Small Faces, Van Morrison, Alan Price, Peter Frampton, Keith Richards, Shirley Bassey, Lulu, Jimmy Page, Roy Orbison, David Bowie, Ben E. King, the Drifters, Gene Pitney and The Beatles. John went on to sell-out tours in Italy, Germany and Spain then released ‘Cheryl Moana Marie’/’I Was A Boy’ as a single, which reached #1 in New Zealand, #20 in Australia and was his first charted record in the USA, where it reached #64. John received the Order of the British Empire (OBE), The Benny Award and has been voted Entertainer of the Year. He continues to perform and delight audiences and is currently touring with the Original Elvis TCB Band. This collaboration is set to continue touring in 2015 and beyond, heading to Australia, the US, the UK and Europe & Japan. Eddie Low was born totally blind and spent much of his childhood at the Blind Institute in Auckland. While there he developed his musical talent, becoming a member of the institute band and winning a number of talent quests. When Eddie was twelve he underwent a series of operations which gained him partial sight in his left eye. Eddie’s reputation was also growing overseas and in October 1972 he was invited by the Country Music Association of America to take part in the Grand Ole Opry in Nashville. He also toured Canada. In the late seventies Eddie moved to Australia and became a fixture on the club scene. Returning to New Zealand Eddie has remained a popular concert draw and has also toured with a popular Roy Orbison tribute show. Eddie not only has vocal talents, but is a master of an impressive variety of musical instruments, including piano, trumpet, flute, most of the brass instruments, guitar, string bass, violin and piano accordion, making him one of New Zealand's most versatile entertainers. Toni Gibson began performing when she was just 7 years old and made her first recording in a professional studio at age 12. She was part of a group called the Starlight Kids at the ages of 9-11. The starlight kids was a group of 5 pop performers that travelled around the north island performing in numerous shows and competitions. Toni won the Coastlands Top 20 competion at age 11 with prizes including $10,000 production and distribution of her first EP CD and radio air time. Toni produced another EP CD at the age of 14. Toni performed and was interviewed on TV 1's Good Morning show at the age of 14 and she released her 3rd EP at the age of 17. In 2012 Toni performed her first 'very own' concert at the Expressions Theatre in Upper Hutt and performed with the NZ POPS Orchestra at the Auckland Town Hall. Later that year she performed in Christmas in the Park in Christchurch. Toni was cast and played the role of "Christine" in the NZ NP production of "The Phantom of the Opera" (July 2014). Toni is now signed with a record label in Australia (Ambition entertainment) she is in good company along side the likes of Michael Crawford ,KD Laing, Oliver Newton-John, Marina Prior just to name a few. Keith Lightfoot writes about life, love, family, home and heaven. His words and his music describe what many people feel and what most are reluctant to talk about. Keith’s stage presence is well documented and his ability to immediately connect with his audience has people tapping their feet and singing along even if they have not heard his songs before. In recent times he has crafted a ukulele based genre of music using personal experiences to share his heart and to pose deeply emotional questions. Keith is an Endorsed Artist for Boulder Creek Guitars (Riptide Ukuleles). Phil Madsen is no stranger to the stage and has been performing since the age of 4. Born in Auckland and raised in Nelson, Phil is the second youngest of a family of eight children. Phil's father was an entertainer with vocal power who played the piano and the piano accordion, and his mother taught piano theory. By the age of four Phil was performing with his family throughout the Nelson region. Phil first entered the public spotlight as the lead singer of the Kiwi pop band Nurture. The band had a couple of major radio hits in 2001 with ‘Did You Do It All For Love’ and ‘Beautiful’ – both songs charted in the NZ top 20. Phil’s performances with the NZSO, the CSO & the Auckland Philharmonic have all been noted as exceptional. Phil has featured regularly at the Coca Cola Christmas in the Park and has headlined many major events including the recent support for Cher on the NZ leg of her Farwell Tour. If ‘Beach’ serves as notice of Phil’s arrival, then the upcoming debut album due for NZ release this fall will confirm he is here to stay. Sel Nash has been a musician and a vocalist since the early sixties. Firstly in the Columbians Showband as a vocalist / saxophonist at the Jive Centre. He then joined the Squires Quartet for an Australian tour before touring with Country Star, Laurel Lee. Back in New Zealand he teamed up with cabaret group The Vision and recorded "Daddy Sang Bass" which featured in the Loxene Gold Disc Awards in 1969. In 1992, Sel won the Auckland Regional Country Music Awards and was a finalist in the 1993 NZ Country Music Entertainer of the Year awards. In the 1990's, Sel was a member of the Silverados Showband who were a popular backing band as well as being on regular call for Auckland Country Music Awards, Entertainer of the Year Awards, the Norfolk Island Country Music Festival and Trans Tasman Entertainer Awards. In 2005, Sel co-wrote "Alpine Express" with his father Don, which was a top ten finalist at the Mataura Licensing Trust Gold Guitar Awards in Gore. 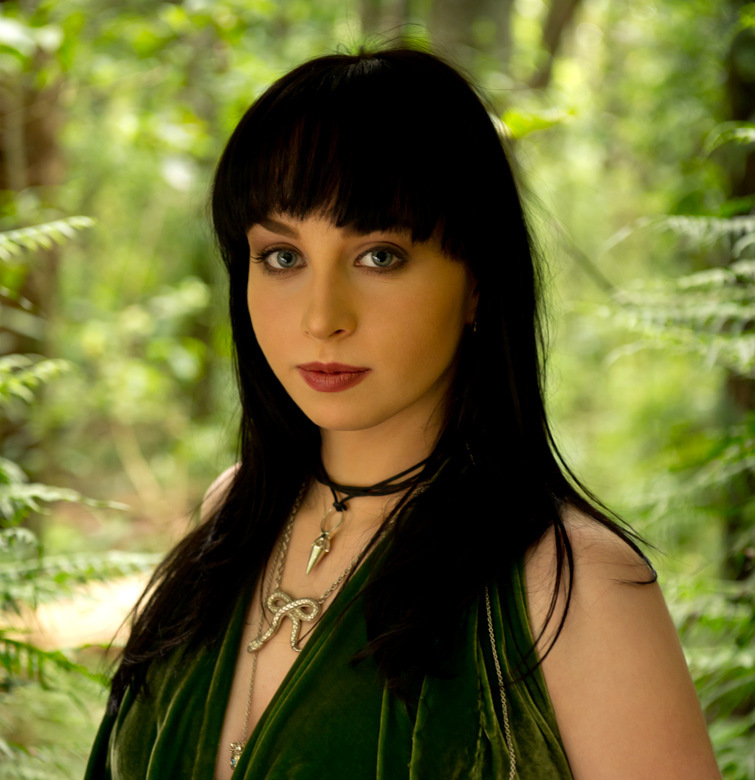 Sel is currently guitarist and lead vocalist in The Southern Cross Band. Universally accepted as a NZ Rock Legend, introduced by former Prime Minister Helen Clark as a true Kiwi Music Icon, Larry's 45 year singing career has helped shape Kiwi music. In October 2008 Larry recieved the Variety Artists Club Lifetime Achievement Award, the Scroll of Honour, a prestigious award bestowed on him by his peers. Larry began singing professionally as a teenager (17) topping the charts with Larry's Rebels. The band had more consecutive hit records (11) than any other act of that era, before Larry departed. In 1981 Larry formed his first Larry Morris Band and became resident at Auckland's Foundry Night Club packing the place for almost two years. Larry continues today with the powerful LMB. He's toured Australia, USA, UK and Europe. Larry has toured and supported some of the all-time greats of music and song including Roy Orbison, David Bowie, Tom Jones, Jimmy Page, The Who, Chuck Berry, Bo Diddley, Fleetwood Mac, The Yardbirds, Max Merrit & The Meteors, Herman's Hermits, The Small Faces, America, Olivia Newton-John, John Farnham, Glenn Shorrock, The Walker Brothers, Dave Dee, Dozy, Mick & Titch, The Easybeats, Renee Geyer, Manfred Mann, Billy Thorpe and Brian Cadd. Stuart is a Musical Director, Arranger, Producer, Programmer, Keyboardist with more than twenty five years experience in Auckland, Sydney, London, Los Angeles and Dubai. He has contributed keyboards and arrangements to more than one hundred and fifty artist CDs, composed soundtracks to film and documentaries, acted as musical director on live television broadcasts and at sports events, and written and produced approx 200 commercials, playing session keyboards on an additional 2,000 commercials. As a key member of various bands, Stuart has opened for many international acts including The Who, Chicago, Tina Turner, Roxy Music, Rod Stewart, Fleetwood Mac, The Police, Bryan Adams, Eric Burdon & the Animals, Bobby Brown, Ruby Turner, Little Feat, Simple Minds, Elvis Costello, Joe Cocker, Leon Russell, Talking Heads, Tony-Joe White and Cold Chisel. Stuart was personally selected by Gray Bartlett to produce and record the entire album, and as with all the artists involved in the project Stuart gave a vast amount of additional time and energy into it, resulting in an outstanding album, possibly the very best of the year. Guitar students at Massey High School in Auckland feature on this SPCA music album to raise awareness of animals who need help. Massey High School is a co-educational secondary school, founded in 1969 with a roll of 166 third formers. The school was initially based at Henderson High School until the buildings on our current site at Don Buck Road were completed in 1970. Since then, the school has grown to a roll of over 2100 students, with a full range of classes from Year 9 to Year 13. Massey High School has built a proud record of academic achievement with very good pass rates in external examinations. Many top students gain National Scholarships. The school provides quality education and numerous other opportunities including sports, music, the arts, performing arts and cultural activities.